In 2004, I was introduced to the world of Ayurveda (an ancient system of life [ayur] and knowledge [veda]). 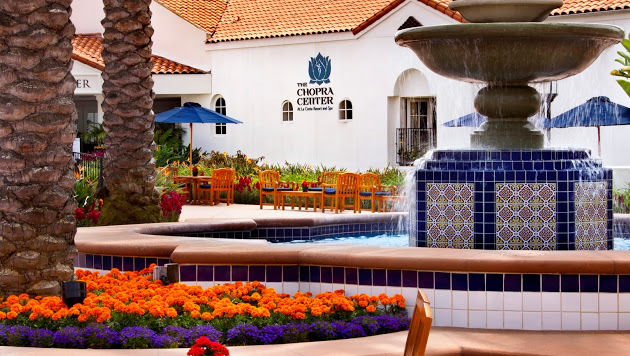 I had just moved from New York to San Diego and landed a job five minutes from The Chopra Center at Omni La Costa Resort in Carlsbad. I visited this center several times during my lunch breaks and started reading Deepak Chopra’s books. The morning I finished reading Deepak’s Synchrodestiny, I received a call, an invitation to a wedding in India. This was an offer I couldn’t resist! 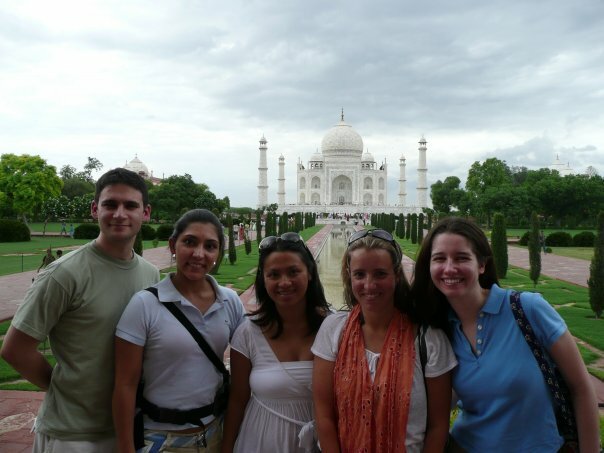 I traveled to Delhi, Agra, Jaipur, Hyderabad and Visakhapatnam with four close friends. During our trip, we consumed large amounts of turmeric and dairy. This was my pre-vegan era. We were often asked, “What kind of tea do you want? “Chai Tea”, we would usually reply. I learned on my second day in India that the word “chai” means (plain) tea. Saying “I want chai tea” is like saying “I want tea tea”. No wonder everyone would smile at me. What we really wanted was “masala chai”. After the wedding in India, I continued following an Ayurvedic lifestyle for many years. I still do many of the morning rituals (aka dinacharya) like drinking a warm glass of water as soon as I wake, daily self-massages (aka daily abhyanga), tongue scraping, etc… I also drink CCF tea regularly. However, It wasn’t until recently that I re-discovered Golden Milk. It seems like a popular recipe nowadays. Ayurveda is going mainstream! Now that I eat 100% plant-based, I decided to give it a try with homemade Brazil Nut Milk (2 cups of Brazil nuts, 4 cups of water, 1 vanilla bean and a pinch of salt). I also tried it with homemade almond milk. It tastes good both ways. My recipe was adapted from Dr. Andrew Weil. Transfer to a small saucepan and heat gently for a couple of minutes. Pour into your favorite cup and enjoy it. Turmeric, called Haridra in Sanskrit and Haldi in Hindi, goes by the botanical name Curcuma longa. The herb grows to a little more than 3 feet in height. It produces both a rhizome and a flower. The rhizome being the most used part of the plant and the source of both the yellow dye and the spice. In both Hinduism and Buddhism, turmeric is linked to fertility, luck and the sun. Because of this, turmeric is traditionally used in wedding ceremonies and the roots of its plants are often a gift to pregnant women. In nuptial customs, turmeric may be applied to the bride’s skin as part of purification ritual before the ceremony. Turmeric’s use is forbidden in a house in mourning. In southern India, the dried rhizome is often worn in an amulet as protection against evil and to bring about healing or good luck. The robes of the Hindu monks were traditionally colored with a yellow dye made of turmeric. Because of its yellow-orange coloring, turmeric was associated with the sun or the Thirumal in the mythology of ancient Tamil religion. Yellow is the color of the solar plexus chakra which in traditional Tamil Siddha medicine is an energy center. India is one of the largest producers of turmeric. 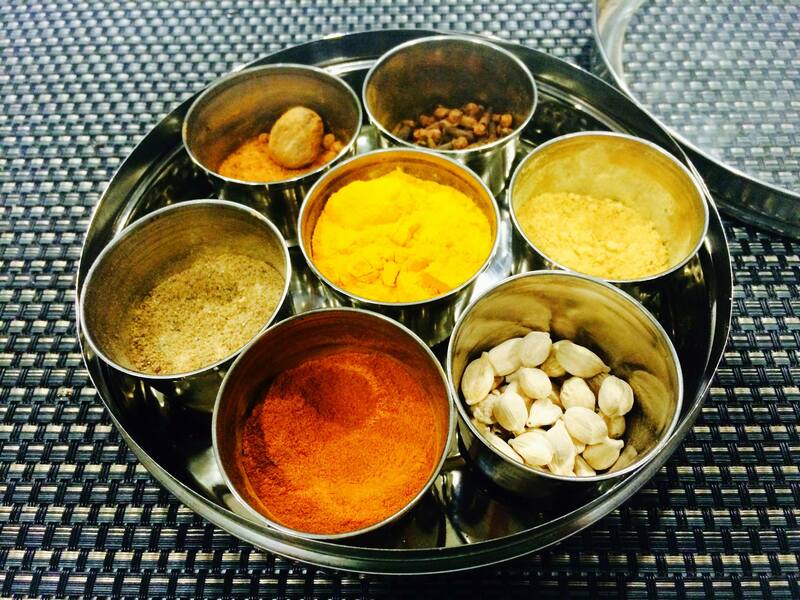 On average India exports approximately 50 thousand tons of turmeric every year. Pakistan is the second largest producer of turmeric. There are around 30 varieties that have been recognized in the type of Curcuma in which turmeric belongs. ‘Alleppey Finger’, ‘Salem turmeric’, ‘Rajapore’, ‘Erode’ and ‘Sangli turmeric’, ‘Nizamabad Bulb’ are some of the popular varieties of India. Turmeric is popularly used in the cosmetic industry for preparing herbal products and natural hair dye. The Assyrians knew about turmeric too. This orange root was described in a book of herbal remedies from 600 BC. The Greek physician Dioscorides used it in the first century AD during his time as “army doc” for the Roman Empire. For more information on turmeric, click Blessed Herbs, Wiki and Ayurveda College. If you want to explore more about Ayurveda, check Maharishi Ayurveda. I have purchased many Ayurvedic products from this site. They are truly the best! 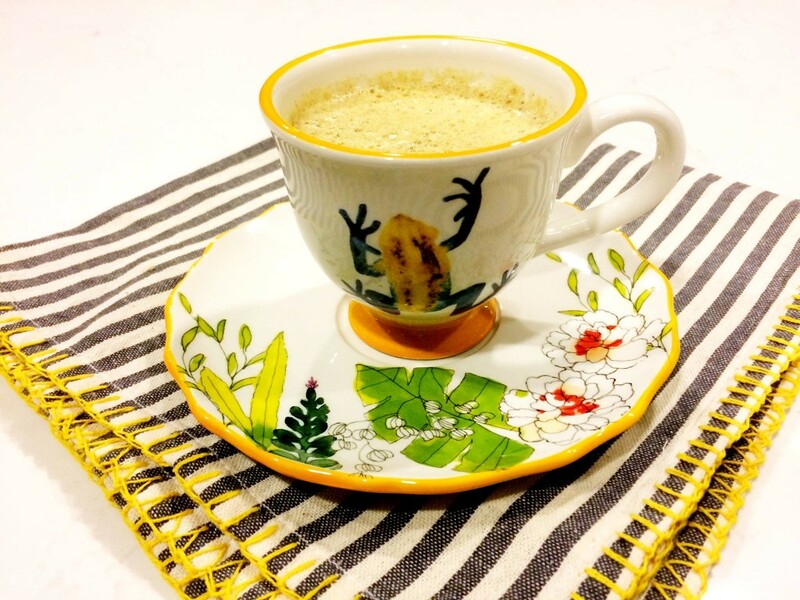 This entry was posted in Drinks, Recipes and tagged ayurveda, ayurvedic, goldenmilk. Bookmark the permalink.